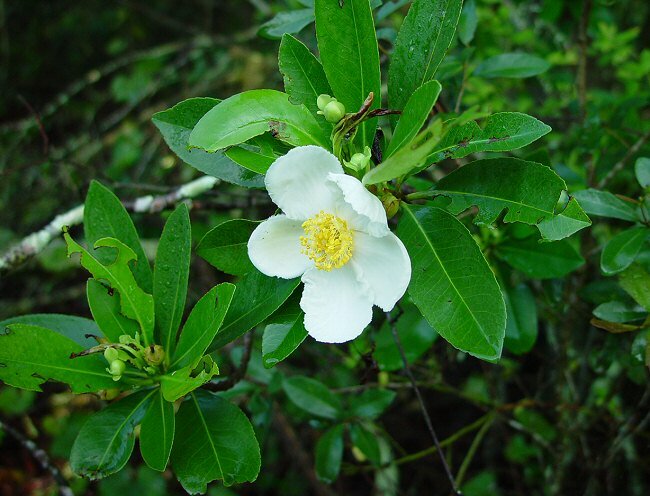 Other information - This attractive shrub can be found in the coastal counties of Alabama. 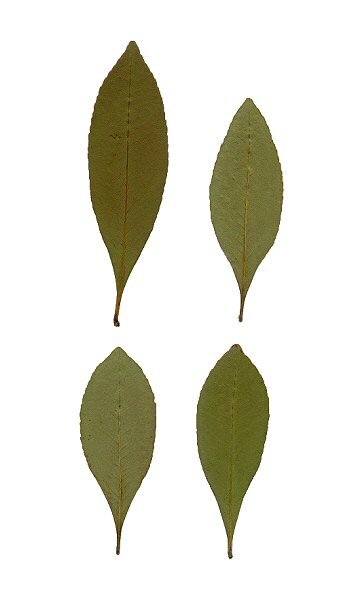 The plant can be identified by its habitat, simple, glossy, crenulate leaves, and its big white flowers. These big, white, "dish-bowl" type flowers are commonly investigated and pollinated by beetles. 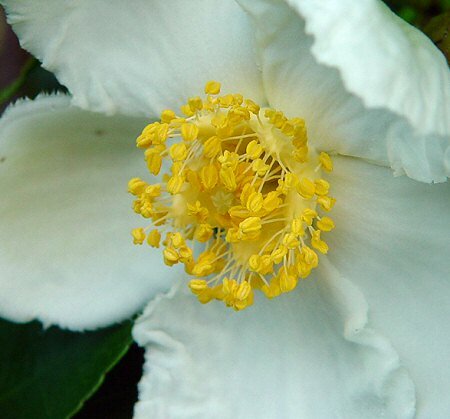 The genus name Gordonia is given in honor of James Gordon, an 18th century premier gardener. 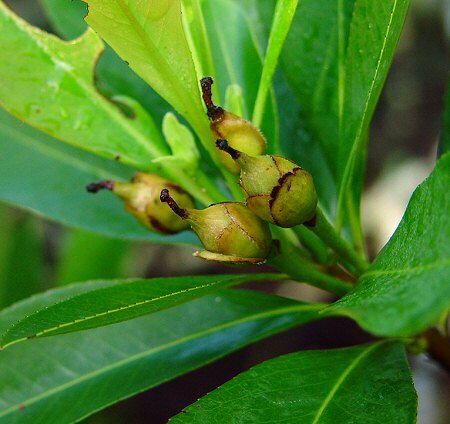 Gordon was the first to germinate seeds of many species and get them into cultivation. He is the first person to propogate the Cape Jasmine introduced to London from South Africa. 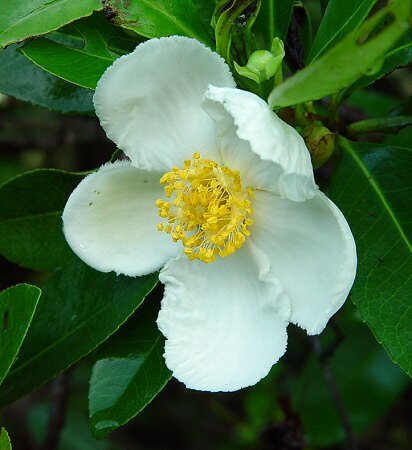 This plant was named Gardenia for Alexander Garden and is now a very popular plant in Alabama and the southeastern United States. The species epithet lasianthus derives from the Greek "lasi" meaning "shaggy, hairy" and "anthus" meaning "a flower" referring to the fringed petals of the flower. Photographs taken in Winter Haven, FL., 6-28-02.